56 years ago this week, the United States and Soviet Union were on the verge of all-out nuclear war. Suddenly, American families learned that they were in the crosshairs of Soviet nuclear-tipped missiles stationed 90 miles away from Florida, and virtually the entire continental U.S. was now moments away from annihilation. 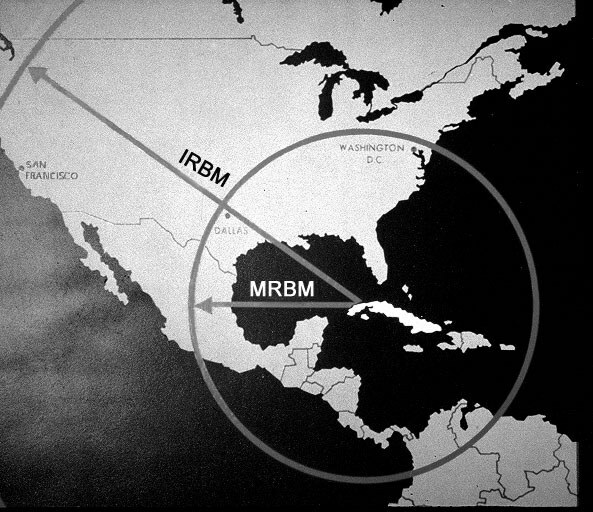 We know how the Cuban Missile Crisis ended, but how did it come about in the first place? During the early days of the Cold War, the Soviet Union had a big problem: mutually assured destruction only works when both sides can assure destruction. The United States could target Moscow with intercontinental ballistic missiles, strategic bombers, and nuclear-armed submarines. By deploying nuclear missiles to Italy and Turkey, the USSR could be devastated in just minutes. Sure, the Kremlin could target Western Europe and Alaska, but Washington, D.C. was well outside of the reach of the Soviets. The Soviets had tested the resolve of the new John F. Kennedy administration the previous year in East Germany when they began construction of the Berlin Wall. 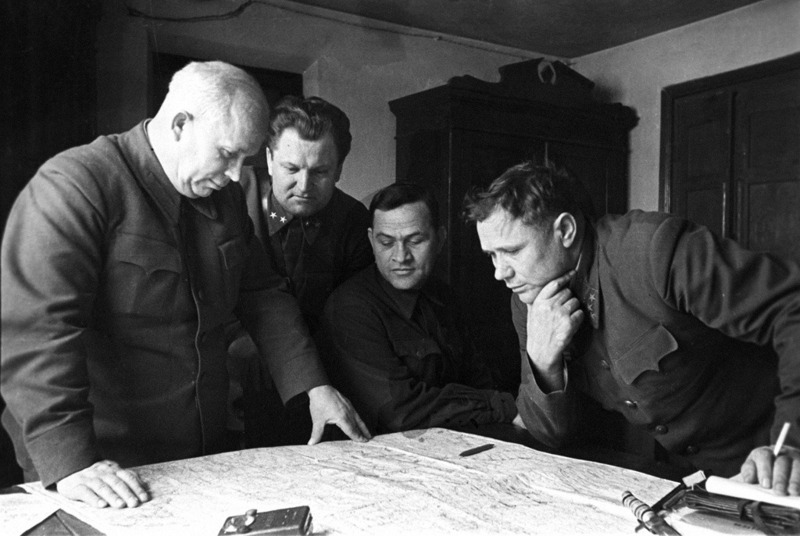 Khrushchev saw the lack of military response to the wall as weakness, and that meant that he might be able to take all of Berlin. He devised what he hoped to be a win-win scenario that would have one of two positive outcomes: by deploying nuclear missiles to Cuba, the Soviet Union could then threaten Washington and much of the continental United States. Or, the missiles could be a bargaining chip: once Khrushchev had “nuked up” the island of Cuba, he could offer to fix the problem he created – if the United States gave up West Berlin. He had the missiles. But the trick was how to get them across the Atlantic without being discovered. To sneak the “hedgehog” across the ocean, the Kremlin had to keep it secret. Fortunately, the USSR had mastered the art of maskirovka, which Americans refer to as denial and deception operations. Their plan was so secret that initially only five Soviet officers – four generals and a colonel in the General Staff – knew that the troops would be deploying to Cuba. Everyone else who heard about a possible deployment thought they were headed north or east. The mission’s name itself was deceptive: Operation ANADYR, which Western intelligence officials would link with the Anadyr River in Siberia, and possibly draw the conclusion that they were headed for the remote bomber staging base nearby. Anadyr plans were made in person, without secretaries. Orders were hand-written and hand-delivered. The Soviets sent top military officials and missile experts to Cuba under false names and in civilian clothes to investigate the feasibility of secretly deploying ballistic missiles. The generals were disguised as agricultural engineers and the secrecy even caught the Cuban government by surprise. 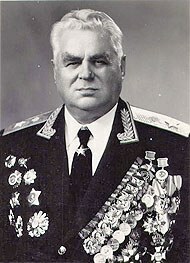 When a man named “Engineer Petrov” urgently requested to meet with Fidel Castro, his brother (and defense minister) Raul had to be informed that the man was in fact Marshall Sergey Semyonovich Biryuzov, Commander-in-Chief of the Soviet Strategic Missile Force. Fidel Castro was willing to take on the risk of housing nuclear missiles on his island, since Soviet weapons would keep his new regime safe from American invasion. So after a summer of plotting sites and coming to an agreement with Castro, it was time to start deploying the men, equipment, and and nuclear weapons that would close the missile gap. Soldiers were issued skis and cold-weather gear. Missile engineers were led to believe that they and their missiles were headed for Novaya Zemlya – an arctic island used for Soviet nuclear testing, and the year before was the site of the Tsar Bomba test – the most powerful bomb in human history. Over 50,000 Soviet troops traded their military uniforms for civilian clothing and boarded trains under armed guard for the trip to one of eight different ports used during the deployment. The men were denied all access to communication while they waited the two or three days it took to load the nuclear weapons aboard the ships. State-run media portrayed the deployment as a massive agricultural assistance program. Specially constructed platforms on the ships hid missiles, planes, and other tell-tale equipment from prying U.S. satellites. Other cargo that could compromise the mission was kept far below decks. Metal shielding was placed on top of anything sensitive that could be viewed with infrared sensors. Even the ships’ captains were kept in the dark: their orders were to sail to a specific geographic coordinate, and only then could they open a sealed envelope, which instructed them to head for Cuba. In the 18-20 days it took to reach Cuba, the cramped troops had to remain below decks and suffer sweltering temperatures that exceeded 120 degrees. They were only allowed to go topside for some fresh air and a chance to stretch their legs for a few minutes each night. To keep American reconnaissance planes from poking their nose too close, Khrushchev complained that intelligence flights were a “harassment” and asked the United States to back off in order to help international relations. Meanwhile, U.S. intelligence officials knew that something was up. But the maskirovka campaign was so effective that basically all they had were suspicions. Once the cargo ships reached their various Cuban ports, all Cuban personnel were kicked out. Special buildings had been constructed to enable crews to offload sensitive items like weapons and warheads in secret, while the cover equipment like trucks and other dual-purpose materiel were unloaded in plain sight. Incredibly, the Soviets leaked plenty of accurate intelligence about Anadyr to select counterrevolutionary groups in the United States, knowing that they weren’t particularly trusted by U.S. intelligence. The gamble paid off; we didn’t believe what our sources said – even though it was true. Back on the island, as Soviet soldiers moved their deadly cargo to missile sites inland, they kept up radio silence. Most of the Red Army remained in civilian clothes, but to keep up the deception, some Soviets wore Cuban military uniforms and had to issue their orders to the convoy in Spanish. By the time Air Force Maj. Richard S. Heyser flew his U-2 spy plane over Cuba on Oct. 14, taking the first photographs that exposed the missile sites, Khrushchev’s “hedgehog” had been in Uncle Sam’s pants for well over a month. They had snuck under our noses SS-4 medium-range and SS-5 intermediate-range ballistic missiles, surface-to-air missiles, MiG-21 fighters, IL-28 nuclear bombers, missile boats, nuclear rocket-launched artillery, nuclear-armed cruise missiles, and over 50,000 troops. Fortunately for mankind, Kennedy and Khrushchev kept the Cuban Missile Crisis from becoming a nuclear war. Operation ANADYR wasn’t so much a knock on the U.S. intelligence community as it was a remarkable testament to the effectiveness of Soviet maskirovka. Moving forward to today, we should bear in mind that Russia’s president was a Soviet KGB agent. Vladimir Putin can deny and deceive a hedgehog into our pants just as well as Khrushchev did years ago.